In the NFL, it is not all about glamour and glitz. It is about sustaining a career, and Indianapolis Colts defensive back Chris Milton and New York Giants tight end Scott Simonson are doing so as these NFL Regional Combine pioneers re-signed with the respective clubs for one-year extensions. Milton has been with the Colts since he signed with the squad as an undrafted free agent in 2016. Milton re-signed a one-year deal worth $1.5 million. 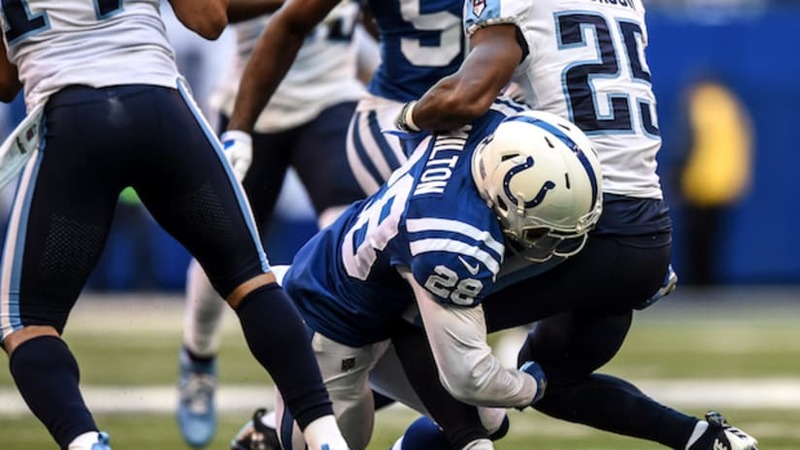 During his stint with the Colts, Milton performed in 35 total games, including a start, and recorded 13 tackles, two passes defensed and two fumble recoveries. Milton has emerged as one of the top special team talents for the Colts as they finished last season first in punt return average allowed (4.4 yards) and ninth in kickoff return average allowed (22 yards). The Georgia Tech standout registered seven special teams tackles and a fumble recovery. Milton played big in the playoffs as he amassed two tackles and a forced fumble in two postseason contests for the Colts. Despite battling for playing time against a deep secondary, including fellow NFL Regional Combine talent Kenny Moore II, Milton is a defensive back to not sleep on. Simonson has been slept on for awhile due to injuries he sustained early in career. After a solid season with the Giants, the league is starting to wake up. Simonson journeyed through the RC in 2014 and spent time with the Oakland Raiders and Carolina Panthers, primarily on the practice squads. Last season, Simonson was healthy and went to work to earn career-highs in receptions (nine) for 96 yards. The 6-5, 249-pound tight end from Assumption earned his first career touchdown on a three-yard reception against the Colts. Simonson re-signed with the Giants on a one year deal with $895,000. The 26-year old talent is setting himself up for a solid pay day.